Our vision of who we are is also shaped by our commitment to give service of the best possible quality at a fair price. We define our commitment to serve through the aims that Canadian housing co-operatives hold in common. The Co-operative Housing Federation of Toronto (CHFT) introduced our scholarship in 2004. People qualify because of their work in the community and commitment to promoting diversity. Over $1.7 million has been awarded to date with over 330 students having won the award. Students from over 104 co-ops have won scholarships since its inception. 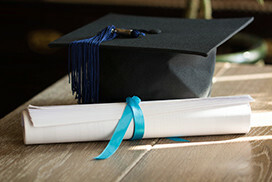 In 2018 we awarded 27 scholarships. Listen to what a few of our scholarship award winners have to say about winning this opportunity and what it means to them. 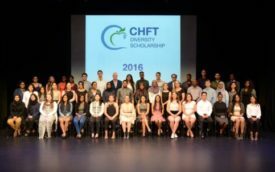 Click here to learn more about CHFT Diversity Scholarship. In 1974, a group of non-profit housing co-operatives set up a small organization to promote the development of new co-ops and to provide the education and assistance needed by the growing co-operative housing sector. Today, the Co-operative Housing Federation of Toronto (CHFT) is a member-supported organization representing more than 45,000 people living in more than 160 non-profit housing co-operatives located in Toronto and York Region. Click here to learn more about CHFT. The Co-operative Housing Federation of Toronto has many co-op members who have open waiting lists and are currently accepting applications. For a complete list, please click on the button to view. 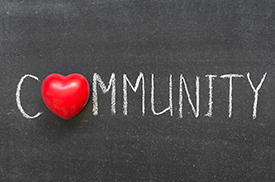 The CHFT Charitable Fund continues to develop and provide innovative and helpful programs. The funds have assisted hundreds of co-operative members through our various programs. In 2004, the Co-operative Housing Federation of Toronto launched the CHFT Diversity Scholarship Program. The program is for people living in CHFT member housing co-ops. 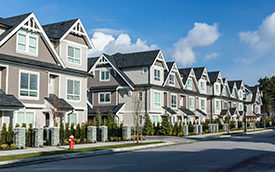 Housing co-ops are in every neighbourhood in the city. A co-op can be a medium size apt building or townhomes. People who live in co-ops come from every walk of life. There are over 45,000 people living in 160 non-profit housing co-operatives throughout Toronto and in the York Region. To find the housing co-operative of your choice, click below.